← Our Craziest Idea to Date – We’re Moving to Mexico! 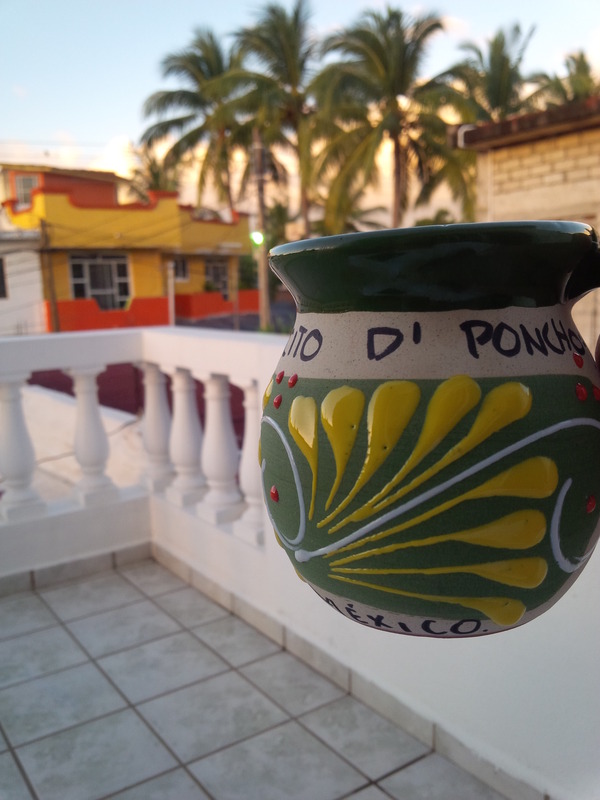 6 months ago we had looked at a home that was for sale in Nuevo Vallarta, a suburban, residential area halfway between Puerto Vallarta and Bucerias. The house wasn’t for rent at the time but when we arrived this week I called the owners and asked if they were interested in renting the house. As luck would have it, the current renter was moving out that very day and they were very open to renting to us at a great price. I had really loved the 3 bedroom house with the open roofed courtyard right in the middle of it. It had a big yard and a great pool and I could picture our family there (okay they ALWAYS use that line on House Hunters!). Grant pointed out the downsides of the open roof such as bugs, lizards, scorpions, bats, floods – but I thought it was cool. Definitely a possibility, although it was 30-40 minute drive to our land where he will be spending a lot of time building. But still, maybe…. Next we had a realtor show us a home in a neighborhood I had never considered living in. The town of Bucerias is divided by the highway – on one side is the ocean and art galleries and restaurants and English speaking Gringos; on the other side are chickens and horses and taco stands and sweet Mexican children and their mamas who only speak Spanish. So when he showed us a home in the Mexican neighborhood I was uncertain – is this too crazy for even us? The house only had 2 bedrooms, a very small outdoor space and was on a super loud corner. Not so sure…. He then took us to a 3 bedroom home on a beautifully manicured golf course. Super quiet and peaceful, with a private pool and windows that open from a bar to the outdoor area. I could definitely picture Jose my private pool boy and bartender bringing me a refreshing beverage while I relaxed. It needed some renos but the realtor told us he was overseeing the work and we could choose what we wanted in the home. Tempting…..
We were leaving by noon the next day and were very confused by the choices. On House Hunters they sit down for 3 or 4 minutes, eliminate one house, argue halfheartedly for another minute and BAM – decision made. We did not have that experience – so we decided to sleep on it. I was definitely leaning towards the Nuevo Vallarta house with no roof and Grant was leaning towards the quiet golf course house. So we went to bed and sometime in the night God pulled a bait-and-switch on me. When I woke up in the morning I was somewhat horrified to experience that sense of clarity that I recognize as God’s leading. I leaned over and told Grant that I was thinking we should take the Mexican house with the horse neighbors – and he said he was thinking exactly the same thing. That is always our decision clincher – when opposites agree without debate it is a powerful thing! We only had a couple of hours to raid a few ATMs to get enough cash to pay a deposit and a couple months’ rent and to meet with the owner to sign a contract. Our wonderful friend Fredy dropped everything he was doing to meet with us and be our translator as we negotiated final terms and took one last look around. So we have a home! It is nothing like we had envisioned and yet in many ways much more than we had expected. I remind myself that I am not ready to retire by the pool and be served drinks by Jose – I am here to love and serve and touch Mexico close up. This neighborhood IS Mexico and it is the perfect place to jump ALL IN, to learn the language and customs and hearts of my new home. And don’t worry – when you visit there will still be cool drinks served in my garden! This entry was posted in Moving to Mexico, Uncategorized and tagged bucerias, living in mexico, mexico, move to mexico, Moving to Mexico. Bookmark the permalink.